Welcome to the sixth edition of The Pack List featuring five things that have caught my eye in the world of bags, travel, and transport. This edition was compiled somewhere between Bath, UK and London on a delayed GWR train! I’m a big fan of having a wallet just for travel. I’ve been using the Bellroy Travel Wallet for a few years now and would highly recommend it. It’s not the cheapest but well worth the investment — mine looks as good as the day I bought it. If you are looking for an equally useful, but more affordable, model then the new Aer Travel Wallet looks like a great shout. 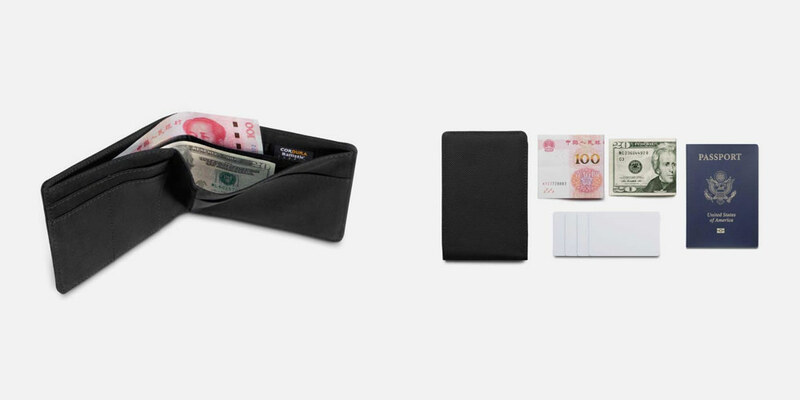 Featuring a dedicated passport pocket, four quick-access card holders, dividers for currency and boarding passes and an RFID-safe lining that provides enhanced security. Currently available in black for a mere $55 USD from the Aer web site. Heimplanet is a really interesting company. Launched in 2011 their first product was am an inflatable tent. Since then they have gone on to produce a range of tents and an extensive luggage and accessory series. Their Transit Line ticks all my boxes. It’s clean design, minimal branding, and grey colour make it look great and from first glance, this is up there as a contender for your hard earned dollars, or euros, with the likes of the Minaal, Peak Design, Nomatic, and Tortuga. The pack opens clamshell style making packing and accessing your gear nice and easy. It also features a dedicated internal laptop sleeve and numerous quick access pockets for everyday items. It comes with a fully adjustable and removable sternum strap, a hip belt featuring custom-made aluminium hardware, and adjustable shoulder straps. There are also a number of add-ons you can purchase including compression straps, Dopp kit, and packing cubes. You can purchase directly from the Heimplanet website for €220 including VAT plus shipping. To my shame, I have yet to fully embrace the reusable cup movement but that’s soon to change once my Stojo arrives. Unlike other travel mugs, the Stojo collapses into a leak-proof disk that you can easily throw into your EDC. 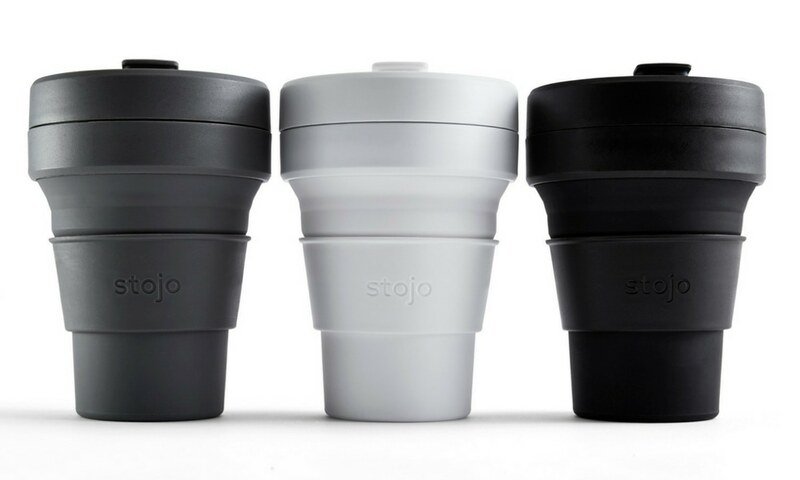 Made from food grade, recyclable materials the Stojo is also BPA free and microwave safe. You can grab yours from their website from $19.99 USD. This is a first for me, a dedicated design for the “travelling wine enthusiast”! If you have £275 to spare you too can own the The Dwyane Wade Wine Case from Away. I’ll be honest, I had to Google Mr. Wade but thanks to Wikipedia I now know he’s a shooting guard for the Miami Heat! I have no current need for such a bag but I am somewhat taken by the concept. 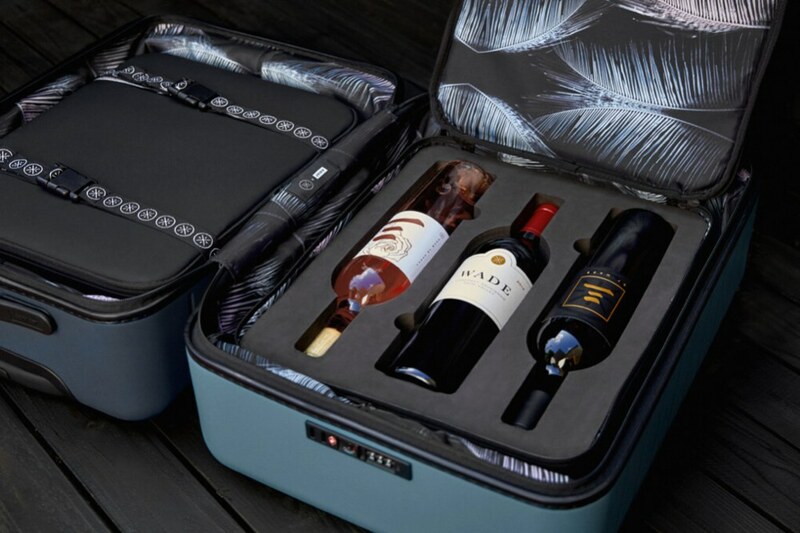 The wine case is part of a much larger collaboration which features duffels, packing cubes, Dopp kits, as well as a custom line of Away hard cases. I’ve written previously on the recent Lufthansa rebrand. Much of the criticism, and there was a lot, revolved around the removal of the iconic yellow from their brand colour palette. Lufthansa isn’t the first airline to embrace comfortable footwear. 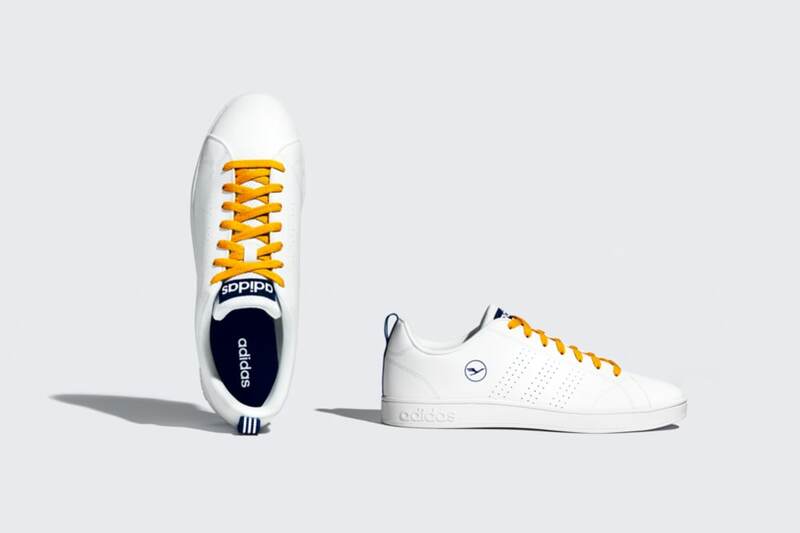 Design Air also reports that Joon, the Air France owned brand, has allowed white trainers to be part of its uniform since day one — their apparent motive being to help reinforce the idea that it is an airline for Millennials.